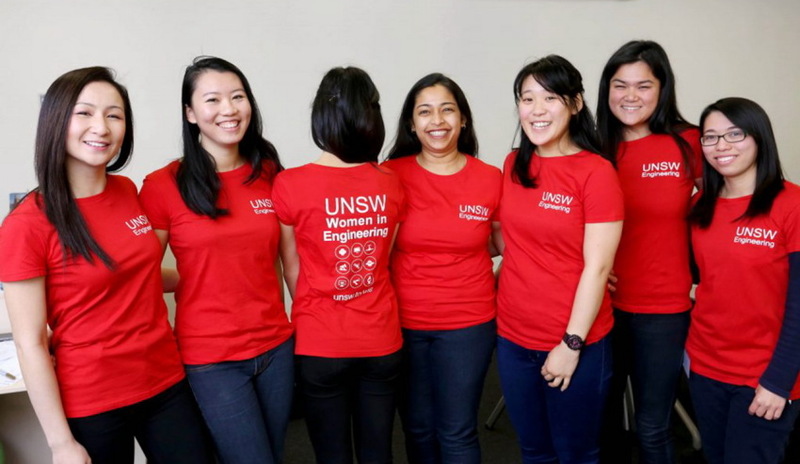 The University of New South Wales' Women in Engineering team. Aeronautics and space leader Airbus and the Global Engineering Deans Council (GEDC) have announced the three finalist projects for the 2017 GEDC Airbus Diversity Award, with an Australian team making the cut. The three finalist projects – from Australia, Canada and Japan – were selected from 45 entries across 18 countries. The award celebrates successful projects that encourage people of all profiles and backgrounds to study and succeed in engineering. The main goal of the award is to increase diversity among the global community of engineers, with diversity recognised as a driver for innovation and growth. For the first time, in 2017 the award has been granted UNESCO patronage. The Australian project is the Women in Engineering (WIE) Program from the University of New South Wales. WIE manager Kim Burdett said the aim of the program is to recruit and retain female engineers through scholarships, activities and workshops. “This program aims to improve the recruitment and retention of female engineers through outreach activities and scholarships at all academic levels," explained Burdett. "The WIE Program also delivers a comprehensive range of workshops and activities targeted at changing the image of engineering among female students, parents, employers and teachers. It is also focused on raising awareness amongst industry, and helping companies achieve their diversity goals and transformations. Alumni and industry partners are engaged as speakers, mentors and sponsors. The project’s mission is to address gender imbalance and create a strong community of support and guidance for engineering students at a national level." The WIE program is up against Canada's University of Calgary Discover Engineering Program, a teaching initiative used to introduce secondary level students to engineering, and Japan's Kyushu Institute of Technology BIRDS Satellite Project, which trains graduate students from developing countries in using cost-effective innovative systems engineering to execute a comprehensive two-year satellite project. The three finalist projects will be presented to a jury of industry experts and engineering deans, who will gather for the GEDC annual conference in Niagara Falls, Canada, between 10 and 13 October 2017. The 2017 GEDC Airbus Diversity Award winner will receive US$10,000 to support the further development of the project. The two runners-up will each receive US$1,500 to help communicate their projects.